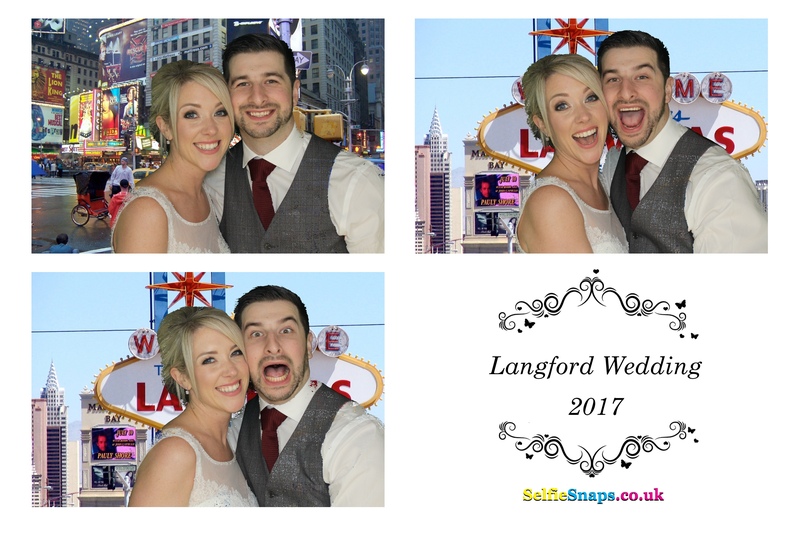 Our luxury green screen photo booth was in action last night at Rivervale Barn Yateley in Hampshire for the wedding of the Langfords. Nice to have a wedding on a Monday for a change. It had snowed heavily at our office location the day before but thankfully had cleared by Monday. Phew ! We did have to deal with power outage issues as the band kept tripping the mains all night (17 times actually !) and the M3 junction was closed on the way back but we coped with both. Rivervale Barn Yateley is a civil ceremony and wedding reception venue on the banks of the River Blackwater in Yateley, Hampshire. It is ideally placed for weddings in Hampshire as well as Berkshire and Surrey as it lies on the border of all three counties and is easily accessible from the M4, A30 and the M3. Rivervale Barn Yateley is a beautiful contemporary L-shaped Barn which lies in the grounds of the historic Mill Farm, once a working corn mill. As well as having plenty of character, the barn has a modern elegant feel and has all the facilities you require for your wedding, including a Honeymoon Cottage, pretty Courtyard and tranquil gardens perfect for your photographs. The owners bought the historic Yateley Water Mill site some 30 years ago, which ran as a water mill for a thousand years and is now more recently known as Mill Farm. The enormous feeling of calm and natural beauty that you feel and see when you enter Mill Farm (now Rivervale Barn Yateley) is quite overwhelming. This, coupled with the considerable area of exquisite gardens, which have been passionately created over the same period, means that the holding of weddings here is perfect. After 7 years of governmental negotiation, hard work and 400 oak trees later the owners now have a magnificent and traditional green oak barn, which all adds to a perfect wedding venue. Construction on the barn began in November 2008, but Rivervale Barn Yateley officially opened its doors to its’ first wedding in July 2009.